Up Country's leads are made with solid brass hardware and high tensile strength nylon webbing that will hold dogs up to 80 pounds. 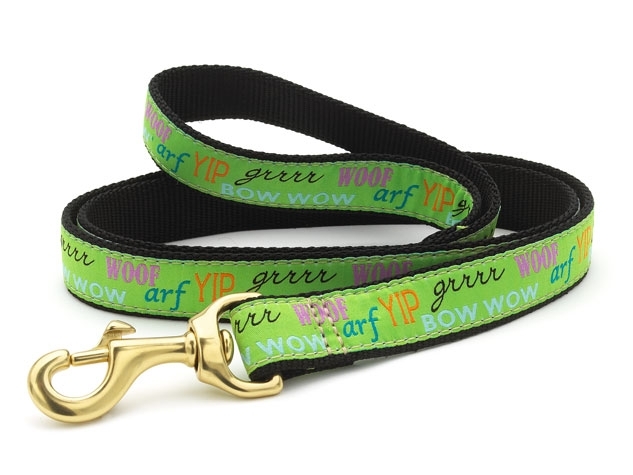 We also carry the matching collar. Made in the USA. Never use an Up Country lead to tie out your dog. Machine washable, air dry. If you have a favorite collar or lead from Up Country and we do not have it listed yet please call or email and we will do our best to get it to you as soon as possible.